HelpSystems is a global enterprise IT software company, working in the areas of systems and network management, business intelligence, security and compliance for IBM i, Unix, Linux and Windows environments. The company is recognised as the biggest independent IBM i software vendor in the world. ExtraDigital have been working with HelpSystems to improve the performance and lead generation from its Google Ads PPC accounts. 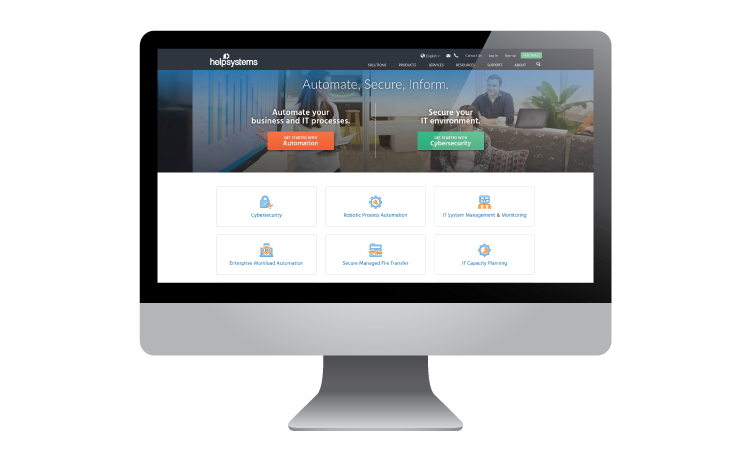 HelpSystems were impressed with the results from our work and keen to expand their existing accounts to target Spanish customers around the world. Our specialists in international marketing were happy to help, pulling on their experience of working in a wide variety of languages. Working closely with the HelpSystems Spanish team based in Latin America we helped them review the best areas to target from three top accounts, (GoAnywhere MFT, Automate BPA and PowerTech server security). Our team supported them through each stage from selecting keywords to creating ads and setting budgets. In addition, we advised the separation of the campaigns to target different Spanish customers by location due to subtle differences in the language targeting. After set-up, we continued to work closely with the Spanish team to optimise and improve the performance of each campaign. Using data-led recommendations we have been able to further improve messaging and targeting. Together ExtraDigital and HelpSystems have worked collaboratively to further optimise and improve the Spanish campaigns. We are currently part way through implementing new landing pages and refining keywords and ad copy. Early results from this work have been extremely positive with improvements in visibility and conversions. In addition, we have also identified key location hot spots for particular product related searches which is valuable data for improved targeting and better leads. Best of all, the Spanish campaigns are holding their own for CTR and conversions against the English campaigns regularly producing results in the top performing half of each account. If you're looking for PPC Managements that gets results, then look ono further. Call ExtraDigital today +44 (0) 1227 68 68 98,or enquire about our services and one of aknowlegable team will be intouch.